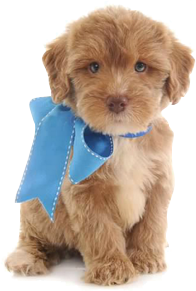 So you are thinking about finding a teddy bear puppy dog to join your family. Great! They are the most lovable, smart, loyal pets that will just want to scurry about and curl up with you. They are also cute and adorable and will fit into the palm of your hand. Just like a teddy bear! But where do you find one?? Teddy bears puppy dogs are most popular in North America, specifically the USA at the time of writing. However they are increasingly growing in popularity in Canada, Holland and the UK too. As you may have found from a bit of Googling or through the extensive resources here they are a fairly new breed and are only recently growing in stardom. As such you might struggle to find a teddy bear dog where you are located. I will share some (hopefully) useful tips for how you might help to find your new family member! Do you already have a dog or is this your first pet? It’s best to be honest about about why you want a dog, and if a teddy bear dog is right for you. I go into more detail about the questions you need to ask yourself first here, so read up and do your homework. You would hate to invite your new teddy bear puppy into your home only to find you were not entirely ready for your new addition in the first place. If you have ever owned a pet before you will know that often you don’t choose your pet, they choose you. You may have in your mind a particular breed, only to find that the temperament or gorgeous coat or its interactions with other dogs or even its name just draws you to it! I find it is best not to be one-eyed about the breed you want; rather, go into the process with an open mind and you will come out with your perfect new best friend. 3. Scan our site and the internet for Breeders in your area. As I mentioned above the number of breeders around is minimal as this breed is only fairly recently gaining popularity. A teddy bear dog is generally a cross between a Bichon Frise and a Shih Tzu. Breeders of such ‘designer’ dogs are uncommon, so you will need to do your research. A good place to start is teddy bear puppies for sale to see if there are any local to you. Your teddy bear puppy will fit right in with your teddy bears collection! As mentioned earlier, the teddy bear puppy dog, or Zuchon/Shichon is to some degree a new breed of dog so you will likely have to spend a bit of time searching for your new companion. Breeders are becoming more common but they are still not available in all states and countries. My suggestion, contact a number of breeders and rescue shelters to find out who might be able to assist you, then pack a car for a weekend and make a road trip out of it! Teddy bear puppy dogs make such a loyal and fun pet that it is worth spending your time searching. They will only bring laughter and joy to your life, so keep searching and don’t give up hope. Learn all you can before your new companion joins you and you will no doubt be rewarded in the long run. Check out these 23 adorable puppy dog gifs. Comment at the bottom which one is your favorite and why!